Is anyone else addicted to The Dr. Oz Show? 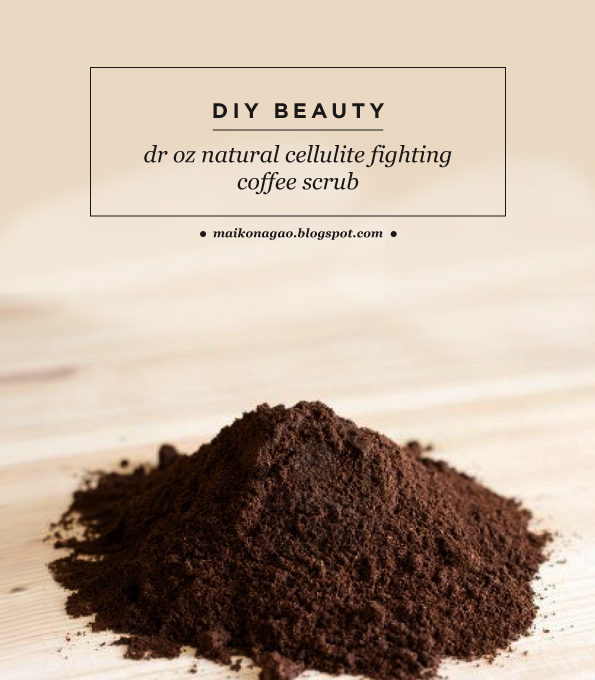 I saw this amazing cellulite fighting coffee scrub recently and I had to try it myself! On his show, he talks about how caffeine enhances fat metabolism. So when it is applied to the skin, coffee absorbs and removes liquid and fat from your skin, which can decrease the appearance of cellulite. Thank you Dr. Oz! Apply olive oil to areas with cellulite. Mix together the coffee grounds and brown sugar and use like a coffee scrub on the areas you just oiled by moving in circular motions. Rinse off right away in the shower. Dr. Oz recommends doing this once a week. My thighs were super plump like a baby's bottom... How did it go for you? I'd love to hear your feedback!